In Chapter 7 bankruptcy, a trustee may sell certain non-exempt property that you own at the time you file your bankruptcy case. The trustee will then use the proceeds from the sale to pay your creditors. The sale of assets in a typical Chapter 7 case is unusual, and in most cases the debtor does not own any assets over and above what the law allows you to keep. Therefore, in most Chapter 7 cases, there is no non-exempt property for the trustee to sell. About 90 days after you file Chapter 7, most of your debts will be discharged, if yours is the typical case. This means you are no longer liable to pay the debt. Debts for which you have pledged collateral for the loan (such as cars, homes and household goods) also do not go away in a bankruptcy. 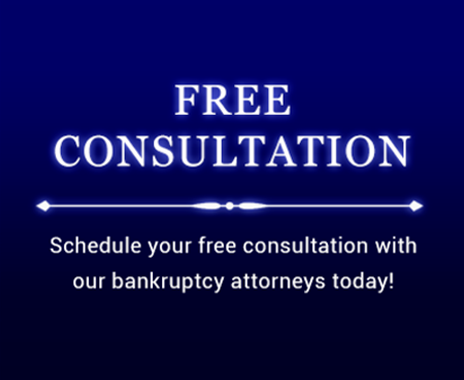 The bankruptcy case addresses only the debts you list in your bankruptcy schedules when your bankruptcy case is filed. You must pay debts you incur after the filing the bankruptcy case as usual. You may keep the money that you earn after filing a Chapter 7 bankruptcy case, as well as most other property that you obtain after the filing. After October 17, 2005, access to Chapter 7 became more limited than it was in the past. If you are an individual with primarily consumer debts and you want to file a case under Chapter 7, you will have your finances examined to determine if you can afford to pay your some or all of your debts. If you can, based on a set formula known as the “means test,” you will not be eligible to file a Chapter 7. If you are not eligible for Chapter 7, the court will either dismiss your bankruptcy case, or you may choose to convert your case to Chapter 13. The means test compares your excess monthly income to the amount of unsecured debt to determine how much you could repay to creditors if you were in a Chapter 13. Because this calculation is hypothetical and does not necessarily reflect your true financial condition, you may appear to be able to repay the minimum portion of your debts but you, in reality, cannot. In that situation, the court may permit you to stay in Chapter 7. Unfortunately, the means test is quite complicated and it is essential to seek professional assistance when choosing which chapter under which to file.